Wele to Global Namdhari Engineers. Manufacturer and Exporter of Poultry Equipment and Machinery. We are an ISO 9001 2008 certified pany, established in 1990 at Khanna. Our products are applicable in Agriculture, Agro, Pesticides and other areas. Vast industry experience, Expedite delivery schedules and economical prices are the plus points of our organization. We offer a vast range of Poultry Feed Plants, Auto Bagging Machines & Vibration Sieve Pulverizer Conveyors. Animal and Poultry Feed Plants offered by us are available at industry leading prices. 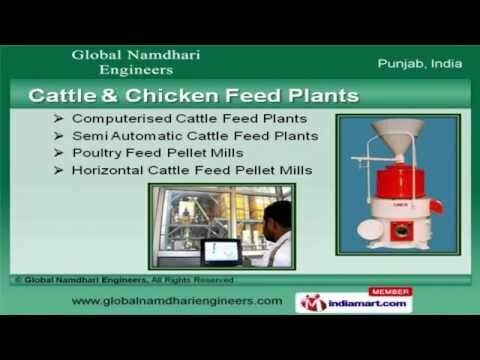 Cattle and Chicken Feed Plants are acknowledged for their functionality. We have gained tremendous expertise in providing Hammer Mills and Pellet Coolers that are extremely reliable. We are offering a top notch quality range of Single and Double Shaft Mixer Machines. Our Auto Bagging Machines and Vibration Sieve Pulverizer Conveyors are reckoned all over the world for their superb quality.